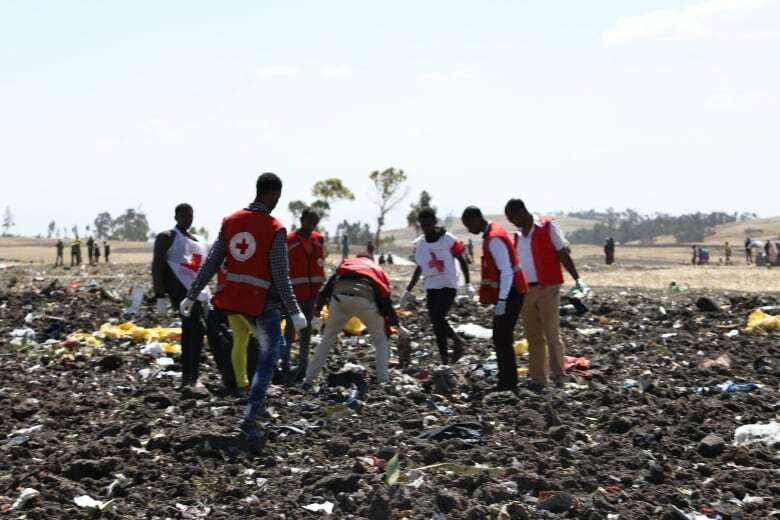 Boeing says it is sending a technical team to the site of the crash of an Ethiopian Airlines flight that killed 157 people, including 18 Canadians. 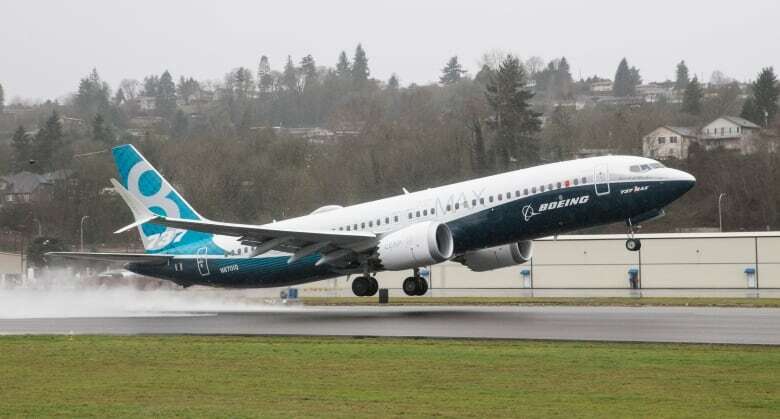 The Boeing 737 MAX 8 plane crashed shortly after takeoff from Bole Airport in Ethiopia’s capital Addis Ababa en route to Nairobi. In Canada, both WestJet and Air Canada use the aircraft — Air Canada says they have performed safely and reliably, and WestJet says it will not speculate on the cause of the incident. Air Canada said it has offered its assistance in the investigation. The airline said it has operated the same type of passenger jet since 2017, when the model entered commercial use, and currently has 24 in its fleet. “These aircraft have performed excellently from a safety, reliability and customer satisfaction perspective,” an Air Canada spokesperson said in an emailed statement to CBC News. WestJet said it has 13 of the Boeing 737 MAX 8 in its fleet. Ethiopian authorities say the pilot sent out a distress call and was given clearance to return. Records show the plane was new and had been delivered to the airline in November. The aircraft was also involved in a Lion Air crash in October when a two-month-old plane plunged into the Java Sea minutes after taking off from Jakarta, Indonesia, killing 189 people. Sunday’s crash is likely to renew questions about the 737 Max, the newest version of Boeing’s popular single-aisle airliner. Indonesian investigators have not determined a cause for the October crash in Indonesia, but days after the accident Boeing sent a notice to airlines that faulty information from a sensor could cause the plane to automatically point the nose down. The notice reminded pilots of the procedure for handling such a situation. 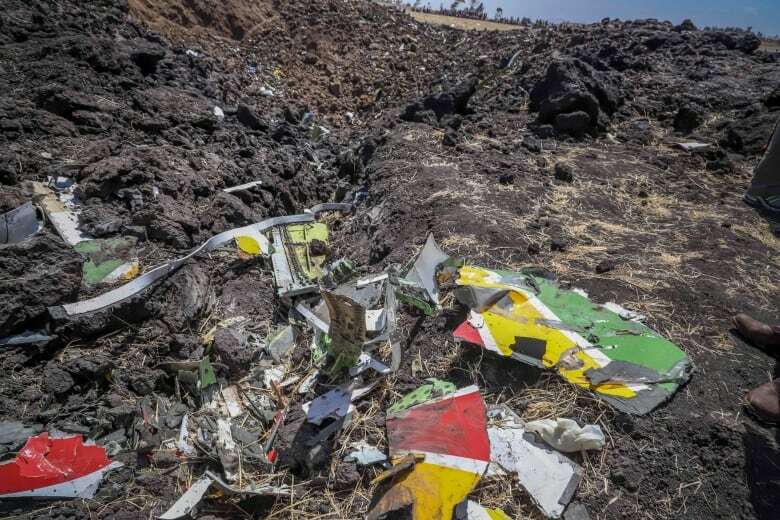 As sunset approached at the crash site, searchers and a bulldozer picked through the wreckage of the plane, which shattered into small pieces. Photos from the scene showed multicoloured pieces of the jet strewn across freshly churned earth. Red Cross teams and others were searching a large area for human remains. In one photo, teams could be seen loading black plastic bags into trucks. Some of those aboard were thought to be travelling to a major United Nations environmental meeting scheduled to start Monday in Nairobi. Boeing said its technical team was ready to provide assistance at the request of the U.S. National Transportation Safety Board. Sunday’s crash comes as Ethiopia’s reformist prime minister, Abiy Ahmed, has vowed to open up the airline and other sectors to foreign investment in a major transformation of the state-centred economy.